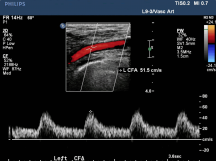 Answer: A PSV of 45 cm/s or less combined with a monophasic CFA waveform is highly predictive of ipsilateral iliac occlusion and is not influenced by bilateral iliac or distal SFA outflow disease. 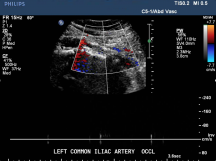 These new findings support use of this technique as a preoperative noninvasive diagnostic tool for evaluating the likelihood of treating significant aortoiliac occlusive disease with endovascular or operative management. 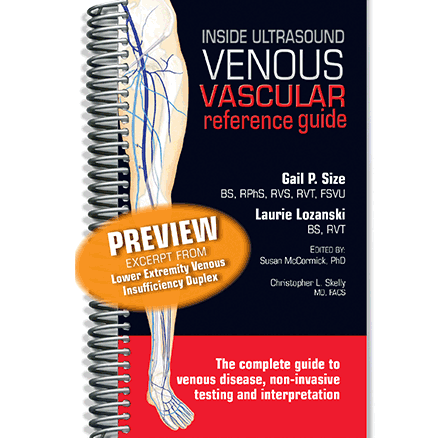 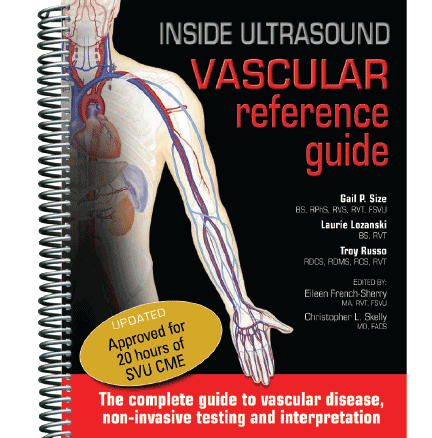 Inside Ultrasound Vascular Reference Guide page 146.